Living History is a new LCTV series where hostess Kathy Grady interviews Longmeadow residents who have lived in town for over 50 years. 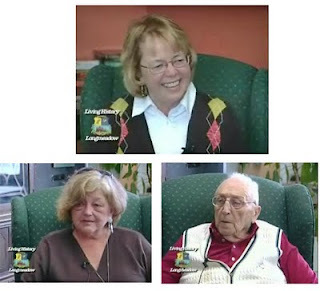 These longtime town residents share their childhood and early adult memories of Longmeadow. The first two interviews are Guy D'Antonio and Linda Abrams. Click here to view a short video containing clips from these first two interviews. Living History is broadcast on Tuesday evenings at 6:30 PM and Wednesday mornings at 9:30 AM on LCTV Channel 12.